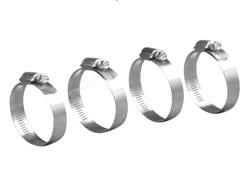 Our customers can avail from us a precision engineered range of Clamp Products. These products are manufactured in compliance with international standards and norms using high-grade raw material and advanced technology. We offer these products in various dimensions and sizes to meed the exact demand of our customers. Owing to their features like long service life and low maintenance, these products are widely demanded by the clients. Our customers can avail from us a precision engineered a range of Clamp Products. These products are manufactured in compliance with international standards and norms using high-grade raw material and advanced technology. We offer these products in various dimensions and sizes to meet the exact demand of our customers. Owing to their features like long service life and low maintenance, these products are widely demanded by the clients.